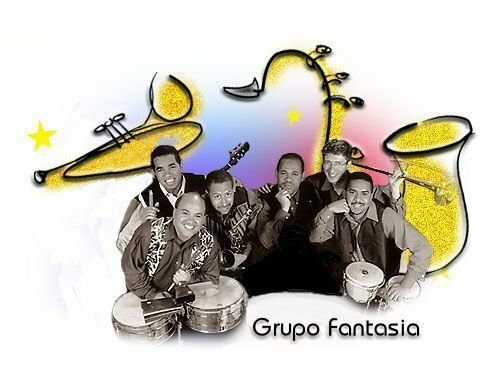 Grupo Fantasia is a Latin band led by Dominican native, Angel Wagner since 1993..
Grupo Fantasia is the brainchild of multi-instrumentalist Angel Wagner. 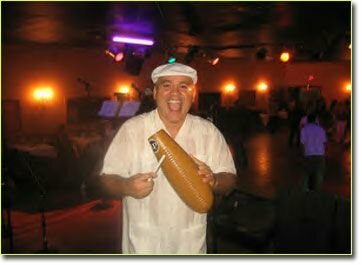 A Dominican native who began his musical career banging on a cheese grater with a fork, Wagner has since mastered more than 30 different instruments. With Grupo Fantasia, Wagner and his cohorts demonstrate mastery of Latin music in a great many styles: merengue, salsa, Latin jazz, cumbia, bachata and vallenato are but a few. You may also spot Mr. Wagner heading a mariachi quartet or a calypso/soca trio. Angel formed Grupo Fantasia in 1993, with musicians from all around the world. Over the years, Fantasia has performed at the Calle Ocho festival in Miami, as well as touring extensively throughout the Northeast. His performances include a multitude of schools, universities, colleges, fundraisers, private functions and musical galas, allowing him to team up with the most exclusive event coordinators and party planners in New England. Angel Wagner provides traditional island entertainment for all people and much of the music is performed on original, handmade indigenous instruments. The extensive repertoire includes original and cover songs from the Caribbean and Latin America. Also represented are various Cuban, Dominican Merengue, Puerto Rican Bomba and Plena, Colombian Cumbia, Mexican Mariachi, Calypso, Reggae and Salsa music. Some of Angel's performances include, The Lowell Folk Life Center, Museum of Fine Arts, The Concord Museum, The Museum of Science, The De Cordova Museum, Castle Hill and the Boston Children's Museum. In July of 1996 he performed on the State House steps for the passing of the Olympic Torch in Providence, Rhode Island. Angel was honored on two occasions in 1998 by performing for President Clinton and Mrs. Clinton. In 2008 Grupo Fantasia was honored by performing the 76th birthday party for Senator Ted Kennedy at his Hyannisport compound. Grupo Fantasia has opened for such popular bands as Marc Anthony and the Counting Crows. Fantasia has won many awards in Latin categories, including Boston's prestigious 1993 Expose Award for BEST SPANISH BAND (1993), runner up in the Hispanic American Chamber of Commerce Award for Education (1999) and the 2003 Boston Music Award Nominee for BEST WORLD CLASS ACT. Grupo Fantasia are the 2009 winners of The New England Urban Music Award for Best Latin Band. Click HERE to learn more about Grupo Fantasia.